Okay, so I didn't restrain myself from starting my project until Craft Night. But I realized that I wouldn't be able to finish this all in one night, and I wanted to share it with you today! Isn't is so pretty? But what wasn't pretty was the price tag--$79.95. I know, I'll make a matching necklace. I took more of the chain I'd used to make the bracelet, added another heart-shaped clasp onto one end, and beaded up the other. 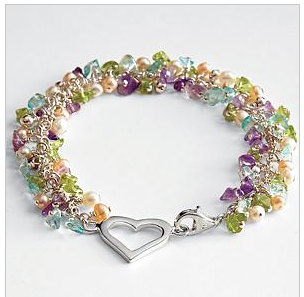 Well, that necklace didn't take nearly as long as the bracelet had, and I got it done, too, before the night was over. Hmm...I don't have any pearl earrings, yet. So I made a pair of those, too. The earrings were done in the same method as these earrings, but with much shorter wires. I used a small, medium, and large bead for each earring, and had the wires for the small and large beads the same length, with the other just a little longer. And then it was time to go home. 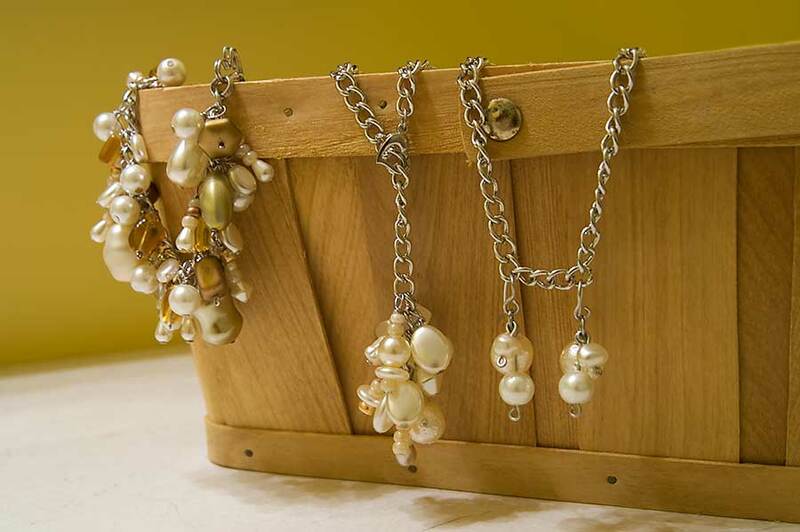 But now I've got a complete set of matching pearl jewelry! 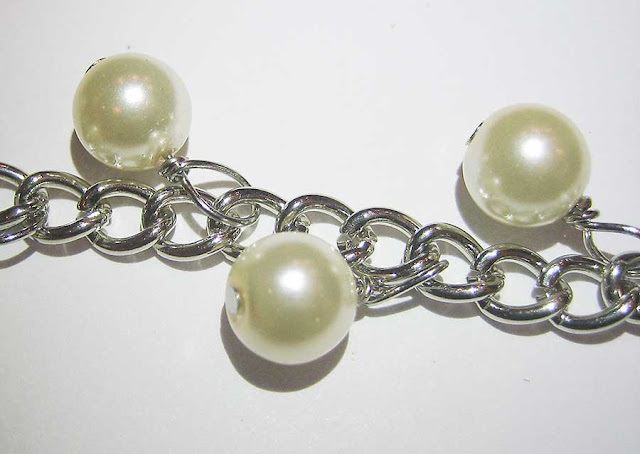 Okay, so now for the Pearl Bracelet tutorial. Ready? It's time consuming, but really easy. Plan out where you want your beads. I started with a pattern at first, but by the end, I was just filling in beads wherever they were needed. 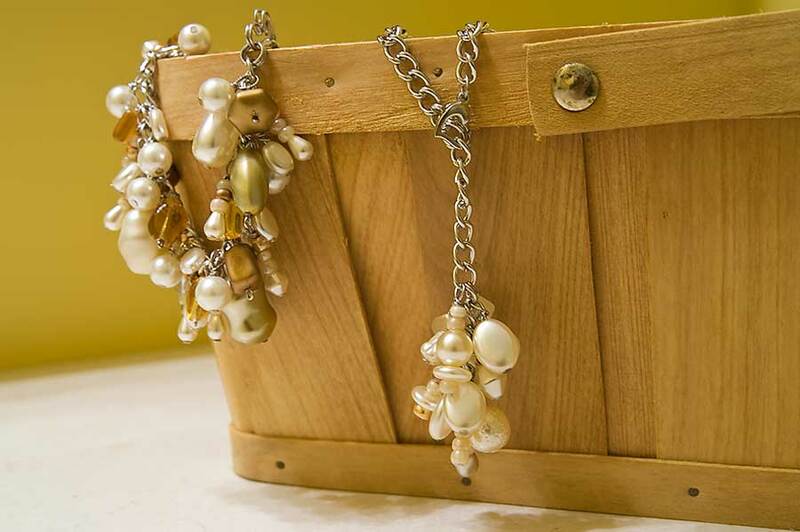 So this picture shows where I put my first round of beads--the pearls. 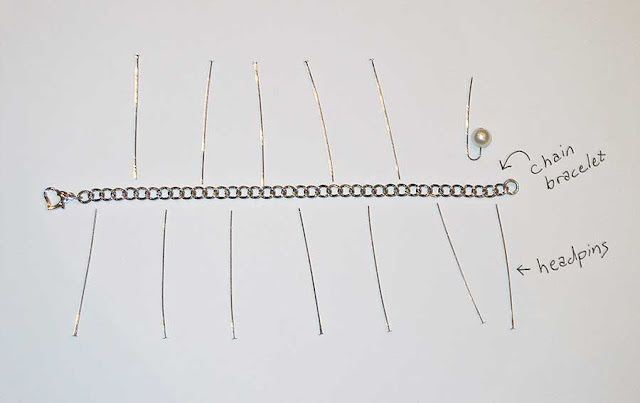 Thread a bead on to your first headpin. 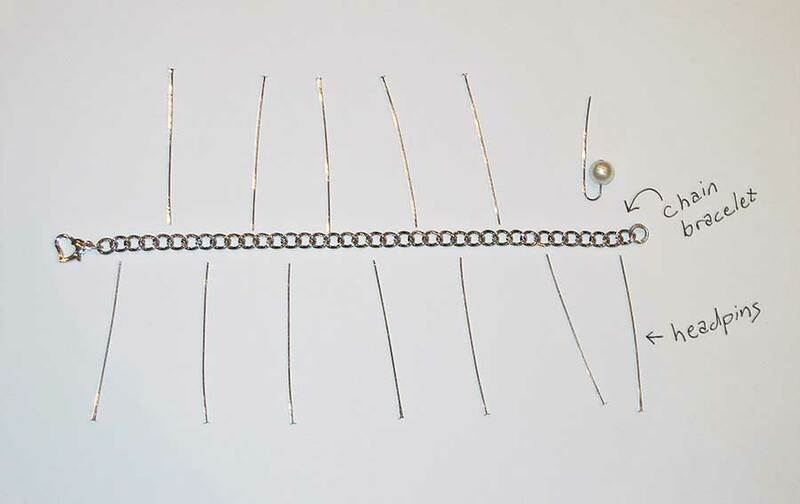 Use your round-nosed pliers to make a loop in the headpin above the bead (as above), then thread the wire on to your chosen link of the bracelet. Next, wrap the wire around itself just above the bead. Cut off the extra. Bend the loop so it comes out straight from the bead. Continue until your bracelet is as full as you want it. Wasn't that easy? 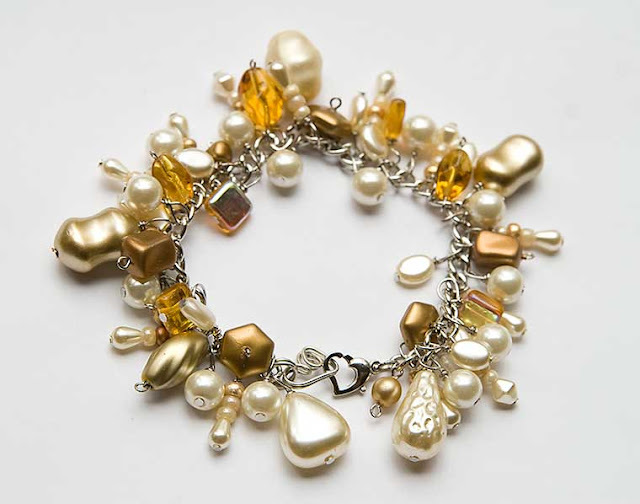 A few supplies, a simple technique, and a few hours and you can have an $80 bracelet for $12 (to include the headpins in the total). You know I actually like yours better then theirs!